On the way to visit her pregnant sister in Argentina, Zoe Collingsworth is kidnapped, by Lazaro Herrera, her brother-in-law’s right hand man and President of Galvan Enterprises… He has Zoe and he’s begun the hostile takeover of Galvan Enterprises. Zoe’s desperate to escape and get to her sister, but she can’t deny the feelings, and the desire, that Lazaro stirs in her. 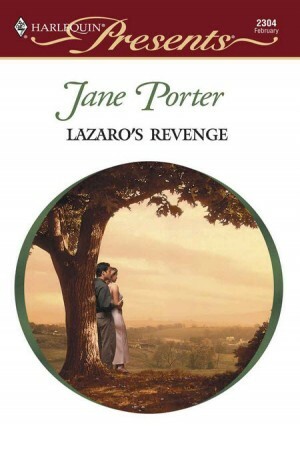 Lazaro’s whole life has been dedicated to getting back at the Galvans, who shamed his mother and ignored his existence. Yet Zoe Collingsworth offers him the two things he’s never had in his life: love and acceptance. Will his desire for revenge keep him from having a future with Zoe? She’d been kidnapped — abducted in the middle of the day from Ezeiza International Airport in Buenos Aires in full view of airport security. Zoe Collingsworth’s stomach plummeted as the helicopter tilted sideways and flew at a peculiar angle to the earth below. She jerked at the sound of his voice. It was the first time he’d spoken in the two hours they’d been aboard the helicopter. She’d never heard a voice pitched so low and it rumbled through her like a slow-moving freight train. “Where are you taking me?” she whispered, hands trembling. Her mouth went dry, fear sucking heat from her limbs. She touched her seatbelt, checking the tension in the belt, as though the small firm strap across her lap could somehow protect her from whatever was to come next. “But you do kidnap them?” she choked, on the verge of hysteria, her imagination beginning to run away with her. She’d been up twenty-four hours without sleep and she was losing control. “Only if I’m asked to,” he answered as the helicopter dipped. He glanced out the window and nodded with satisfaction.